These lists get longer and longer and my sanity gets weaker and weaker. It truly is amazing how many metal albums there are out there. When I first started listening to Cryptopsy some fifteen years ago I don’t think I could fathom so many albums, let alone fans. The world is a weird place. Below is a list of albums/EPs/demos slated for release between February 21st and February 27th, 2016. Want to chat? Scroll down to the comment box and tell me stuff. Preferably something other than a down-the-nose correction, which seems to be what the comment box has been relegated to for the past few months. C’mon people, let’s converse! 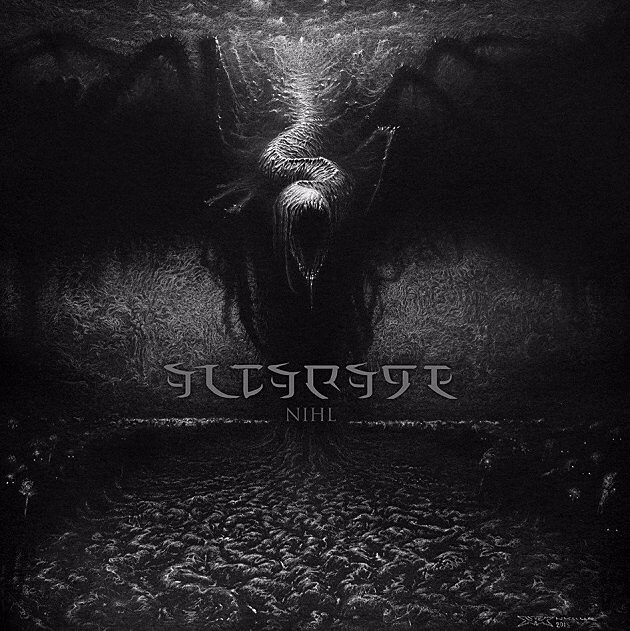 Altarage have quickly become the celebrated “black sheep” of the newfound “blackened death metal” revival. Instead of solely crafting a formless, atonal wall of sound, Altarage’s primary output is riffs. With dials set to “obliterate,” Nihl ascends and consumes, an inescapable black hole. They marry their genre brethren’s deference to atmosphere with a keen ear for musicianship, resulting in a thick and crawling—but refreshingly defined—muck. Even at their most incoherent, which is still relatively tame and clear when put in a wider perspective, this Bilbao-based four-piece finds themselves at their strongest when laboriously trudging through viscous, sepulchral, chunking grooves, heralded by inhuman roars which fall somewhere between Tom Araya at half speed and a walrus roar. If I was a little more naive, you could probably convince me that Nihl was a field recording from deep within the non-Euclidean bowels of R’lyeh. Slutet is one of those brazenly unique, bizarre bands who completely spit in the face of black metal customs. Occupying the strange space between Woods of Infinity’s Ljuset and Lifelover’s Pulver, Slutet’s stark, jangling brand of banshee-fronted black metal is a bitter, hallucinogenic pill to swallow. Initially released in a micro edition of 33 cassettes—which were only obtainable by sending the band’s own label Teratology Sound & Vision a sample of your hair or body fluid—Psychedelic Lotus Order has made this surprisingly lengthy compilation available to the masses. Think Roky Erickson in corpse paint, or Burzum’s more morose moments translated as the soundtrack to a technicolor hippie sacrifice ritual. This is some weird stuff, man. Turn on, tune in, drop out. A rumbling, scathing, terrifying blackened punk romp. Folteraar straddles the fine line between black metal’s raw excess and complete incoherence, but use this sonic embodiment of chaos to their advantage. To put it bluntly, this is absolutely terrifying. The amorphous, improvised waves of sound creak and groan, enveloped in a crackling, disorienting haze. 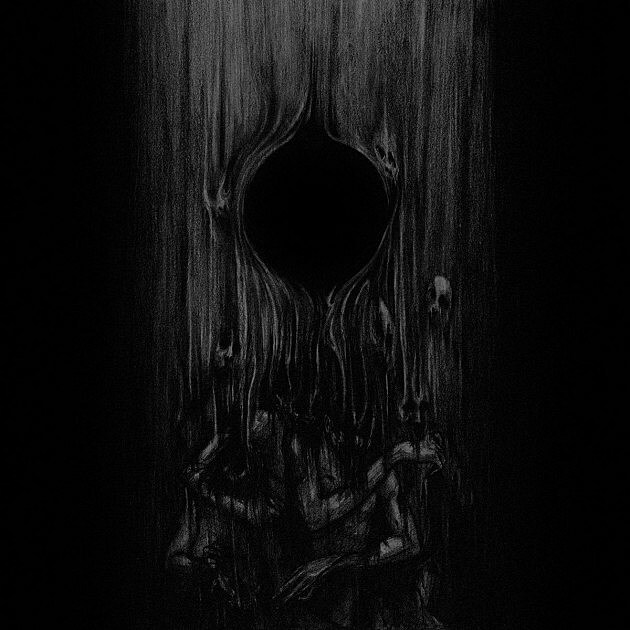 Vertellingen van een donkere eeuw as a whole is not an easy listen, but Folteraar is an effective reminder as to just how ugly and horrific black metal can be. Thrash metal might not be my forte, but I do know when I like it, and I’ve always enjoyed the drunken, black-as-pitch attack of Australian ex-pat KK Warslut’s Deströyer 666. KK’s minimal, bestial-meets-retro/Eerie Von-with-a-Blasphemy-backpatch approach has always been singular, and has consistently been of an extremely high quality. It may have been seven years since Deströyer 666 last “unchain[ed] the wolves,” but Wildfire shows it might as well have been yesterday. Chances are you’ve seen Lips and Robb in Anvil! The Story of Anvil, or you’ve at least heard their seminal jam “Metal on Metal“, yet Anvil continues to remain Canada’s best-kept secret for what is very quickly approaching the forty-year mark. Granted, a band completing their fourth decade of activity is a likely epitaph for most, but Anvil is Anvil shows that Anvil is still just that: they are Anvil, and they aren’t going anywhere. Goatpsalm guitarist Vaarwel gazes skyward with his prolific (eleven LPs and counting, whoa) solo project Frozen Ocean. The project’s seventh (yes, seventh) EP, The Prowess Of Dormition is a glorious offering of ethereal, crystalline atmospheric black metal, rife with majestic melodies and complex, thoughtful atmospheres. Utilizing an arsenal of instruments and synthesizers, Vaarwel remains rigid in composition, looking back to his early black metal influences, but fluid and progressive in execution. Once the The Pit Of Tentacled Screams demo hit my inbox nearly two years ago, I was hooked on Ritual Chamber. Not only was the music suffocating, catchy, and creative death metal, but also a continuation of sole musician Numinas’s stellar music library, having also created or been a member of Krohm, Evoken, Drawn and Quartered, and even the Meat Shits. Unfortunately, where the demo succeeded, Obscurations falls short. Sure, some of the riffs are nice, a few even breach into “great” territory, but it just…isn’t the same. I don’t feel completely swallowed by Ritual Chamber this time around, partially due to much cleaner production, but the quality of the songwriting has greatly suffered. I’m pretty bummed, this was one of my “highly anticipated” albums of early 2016. Oh well. With their first solo release since 2013’s Target Earth, Canadian stalwarts Voivod remain as experimental and weird as ever. Alternating between bouncing, Elfman-esque carnival discordance and slow, chiming brilliance, this surprisingly long EP (over 30 minutes!) shows that Voivod isn’t going anywhere. I’m particularly happy about the fittingly sentimental Hawkwind cover which acts as Post Society’s back cover. Makes you wonder if Piggy and Lemmy might be hanging out somewhere. Coffins isn’t re-inventing the wheel with their d-beaty sound tribute to Autopsy, but, then again neither is Ilsa. I know I don’t listen to either band for anything “new and refreshing,” but both are exceedingly good at what they do. Jason Landrian and Rafael Martinez might have an impressive combined resume, boasting former roster spots in Cavity, 16, and Acid King, but Black Cobra has always occupied that niche area of “poppy, riffy” sludge metal which never really agreed with me. I feel like most of you aren’t too well-versed in “country music.” To be perfectly frank, I’m not, either, but, like my relationship with thrash metal, I know when I like it. I’ve always enjoyed the twangy, Fleetwood Mac-inspired sounds of North Carolina’s Mount Moriah. Now, some of you might recognize guitarist Jenks Miller as the driving force behind Relapse Records artist Horseback, and there is actually quite a bit of overlap between Miller’s two main projects. The lightly distorted guitar, emphasis on droning strings, even a slight Eastern influence all pervade Miller’s inherent style, though Horseback’s more, erm, “metallic” fanbase should stop reading here. On How to Dance, Mount Moriah’s moves further into the poppy Americana which they perfected with Miracle Temple. Bouncing and sun kissed, the trio of Heather McEntire, Jenks Miller, and Casey Toll’s warm country rock heralds the inevitable Summer, which should hopefully melt all the snow I’ve trudged through since last November. Heavy, melancholic black/doom metal with mournful Orthodox Slavonic Liturgical chanting? Where the hell was I when this came out last year? This is too good! Now available on vinyl through Witching Hour Productions – I’d order from them if they accepted anything but bank transfers. Any US labels feel like distributing this? COnflict of interest keeps Rosenthal from talking about anything related to Ævangelist. Lucky you, I’ve got plenty to say, because Ævangelist is one of the most interesting extreme metal bands in the world provided you can tolerate their tremendous racket which is a chore. That chore is a little tougher on their less-polished EP’s, like this gem that dropped last year shortly before their excellent Enthrall to the Void of Bliss LP. Are you like me, in that you require constant stimulation just to make it through the existential dread of the day? Take this twice and call me in the morning. Doctor’s orders. Some people might not like old Anthrax, most people don’t like new Anthrax…I don’t like Anthrax at all. This album sounds like Scott Ian hosting Vh1 “best hard rock of the 90s” countdowns. Starting off as a painfully average “depressive black metal” band, Todtgelichter very quickly shifted gears to a much more experimental bent as their discography grew. Now? They kind of sound like a clunky, experimental mix of Paradise Lost, newer In Flames, and Lacuna Coil. I don’t get it. One of the few times in which I would advocate judging a band by its name. Yes, this is war metal. A viking/black metal band releasing an entire album of Bathory covers seems a little excessive, and it is.